Beautiful temples, gentle hills, lush rice paddies, sea resorts and accommodations suitable for all budgets and travel styles. 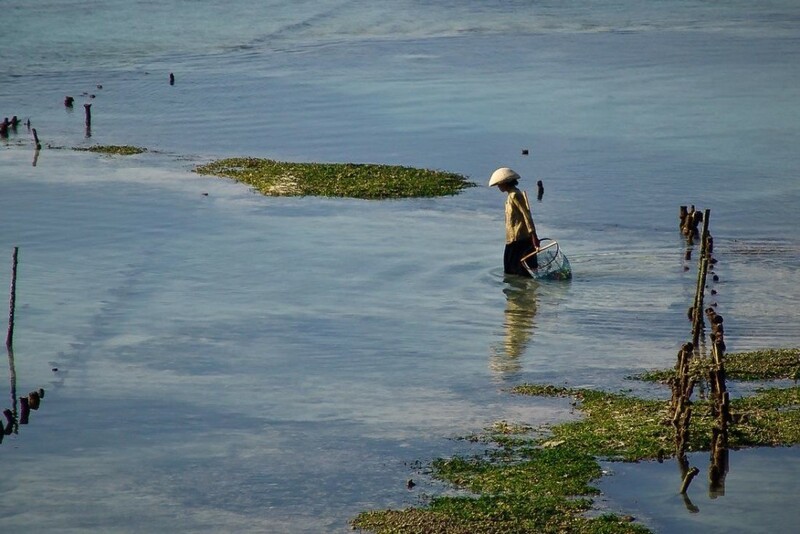 Bali has it all, except one thing: crystal clear waters. 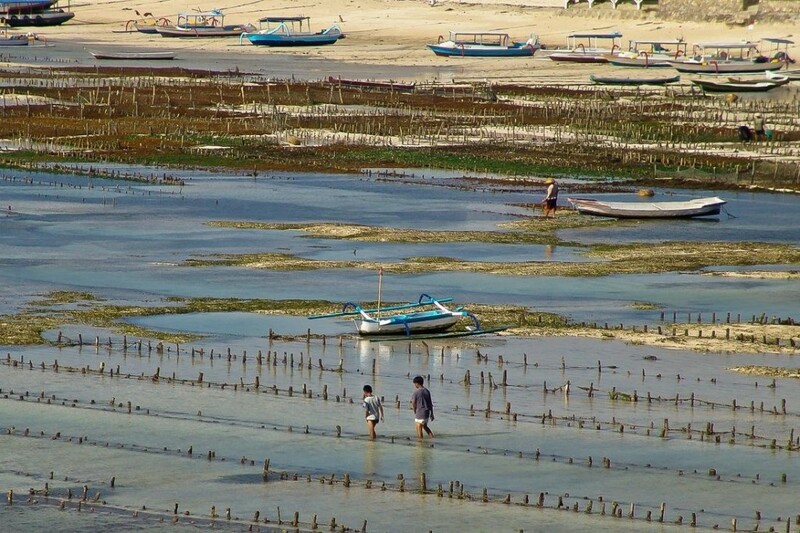 They’re not far, though, and if you’re looking for transparent sea and some calmness, you’ll find them in Nusa Lembongan, a small island a stone’s throw from the Island of Gods. 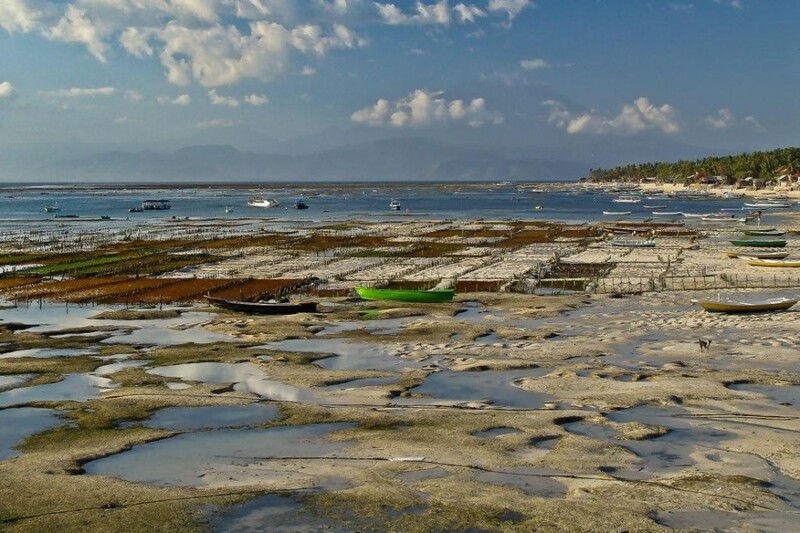 Arriving from South Bali, Nusa Lembongan seems another world. 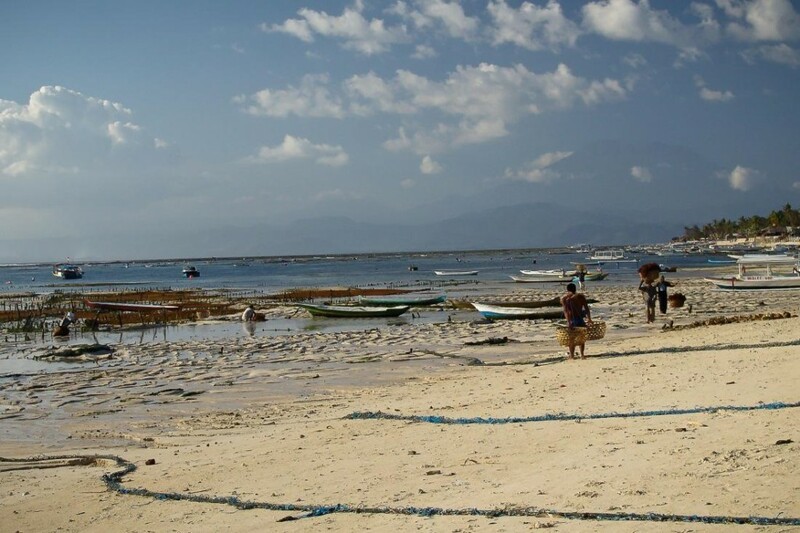 No trace of the bustle, traffic, and noise of Denpasar, no shopping, and nightlife like in Kuta, no hassle on the beach. Only clear, blue water, calmness and relax. 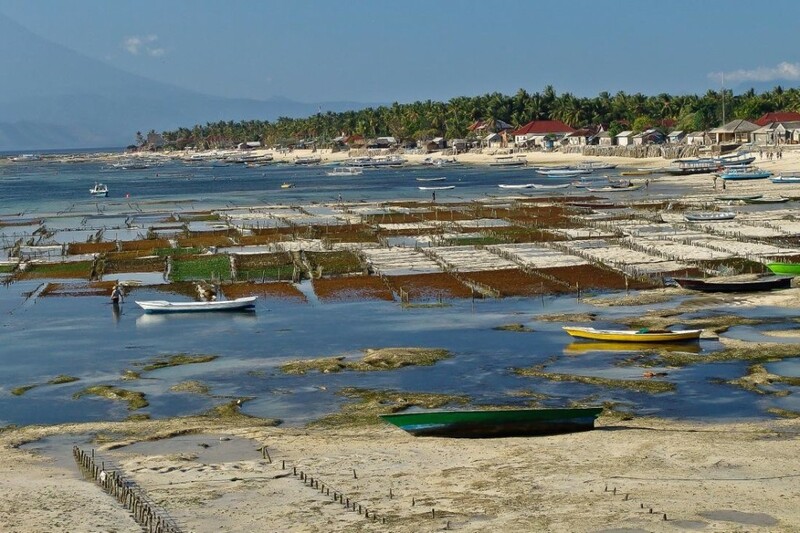 Although Nusa Lembongan is a popular spot for scuba diving (and surfing), I did not go underwater. To quench my thirst of diving, and regardless of the exorbitant costs, I had chosen the Flores-Komodo live aboard and was rewarded with some of the best diving experiences ever, amid colorful corals, schools of fishes and strong currents. Back to Bali, my residual budget was so tight I couldn’t afford much. I was also tired, wishing nothing more than a little relax, far from the confusion and the crowds. 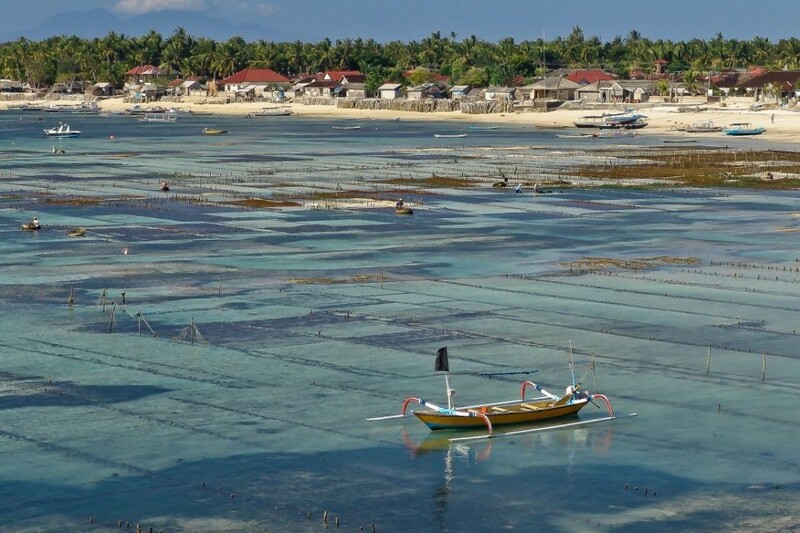 Nusa Lembongan seemed a perfect choice: a bare 30 minutes ride by speed boat from Sanur beach, an island small enough to go around by foot, a wide array of accommodations options. Total chill-out aside, the most intense experience came from something I was not expecting: the traditional life. 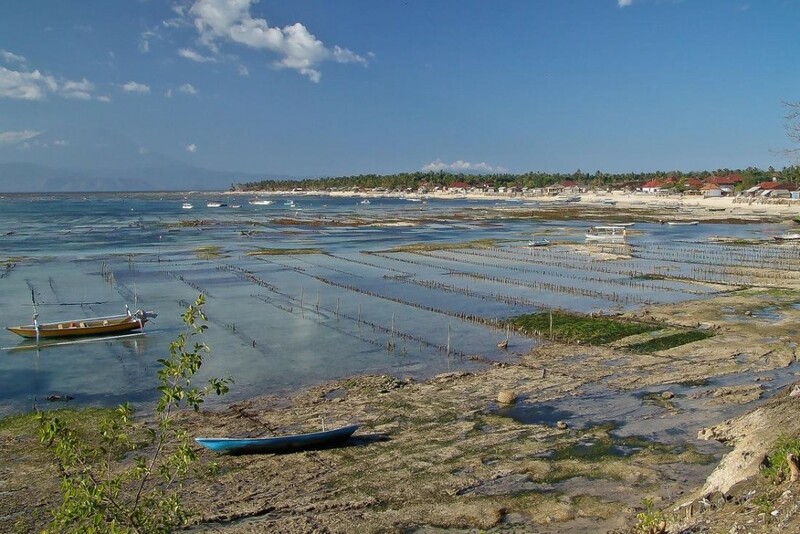 Lembongan village, inland down south, is where most locals live. Crumbling shacks that seem so fragile they could be swept away by the first gust of wind. Families, chickens and other animals living all together. 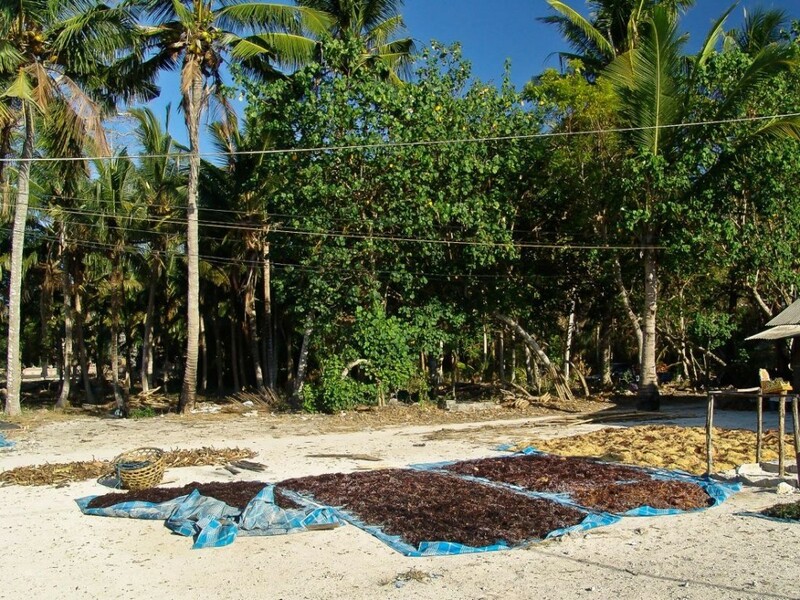 Poverty is palpable everywhere, in contrast with the resorts overlooking the beaches. 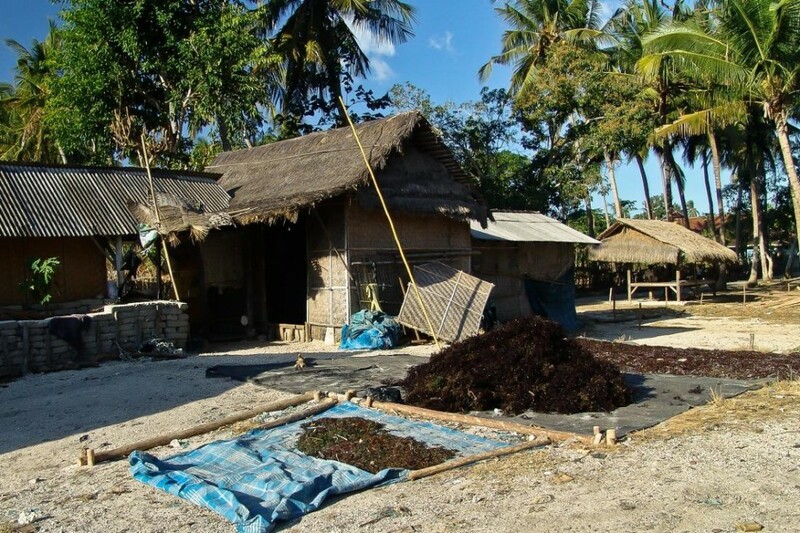 It was 2005 and hopefully the living conditions improved since then. 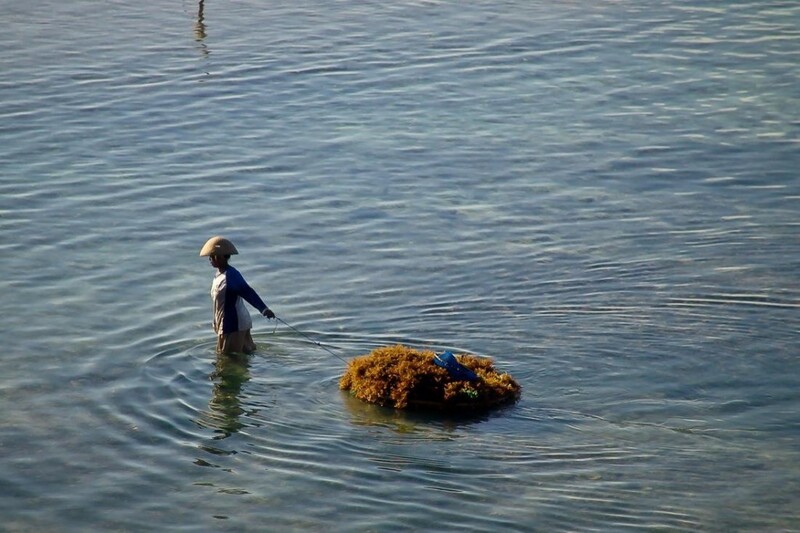 Apart from tourism, seaweed farming is the main activity in Nusa Lembongan. 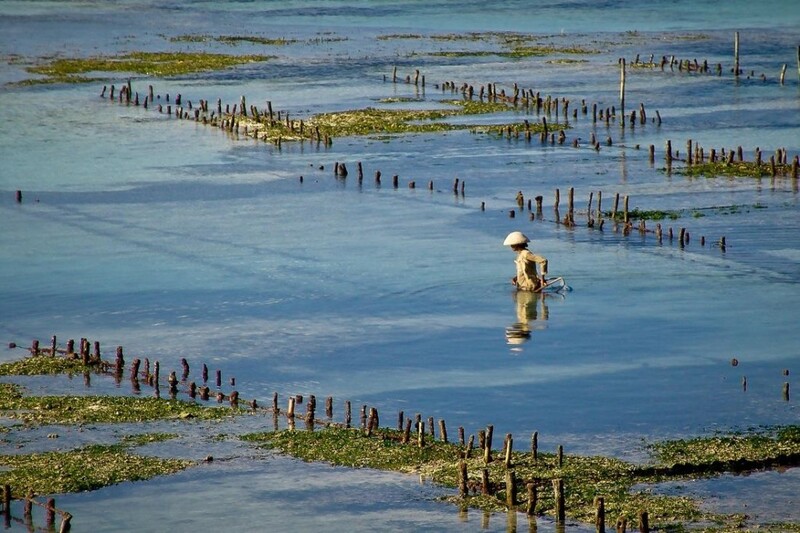 At low tide, old farmers, their faces lined with deep wrinkles, walk back and forth half immersed in water, their semicircular hats to protect them from the sun, dragging their bamboo baskets and harvesting the algae. Like seaweeds fill the air with their intense (and intoxicating, at least to me) smell, the tidal flow shapes the landscape. 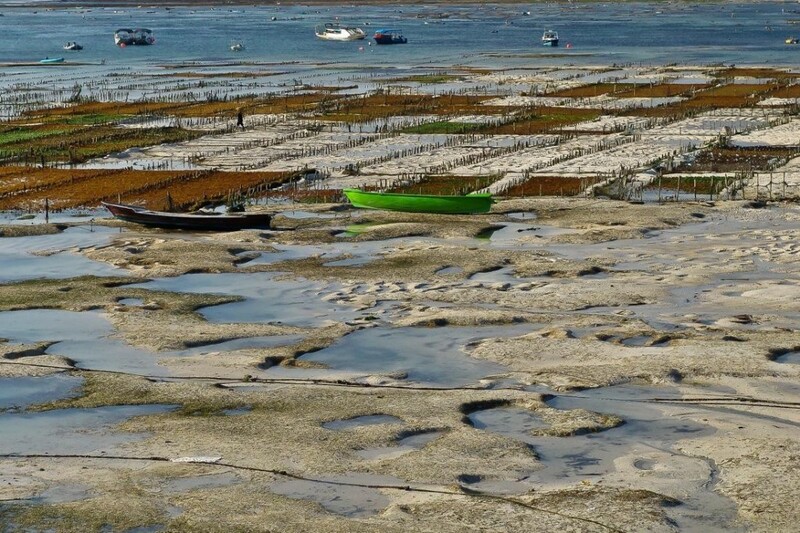 At low tide, the water flowing back reveals a new seascape. 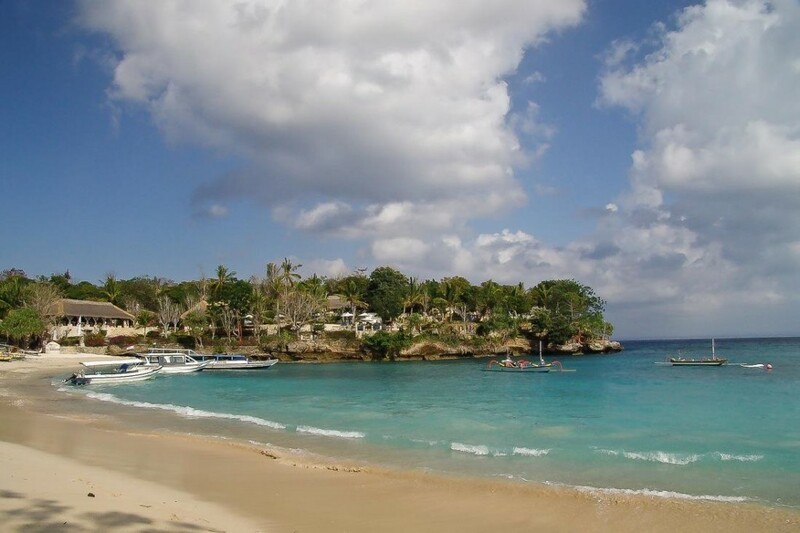 The white sand of the seashore becomes like a painting. 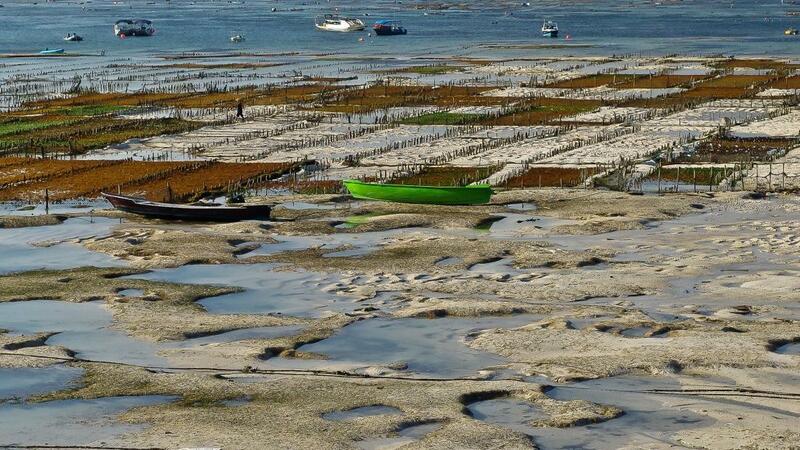 Blue puddles, seaweeds designing red and green squares, colorful boats resting like sculptures, the ever-changing shape of the shore. 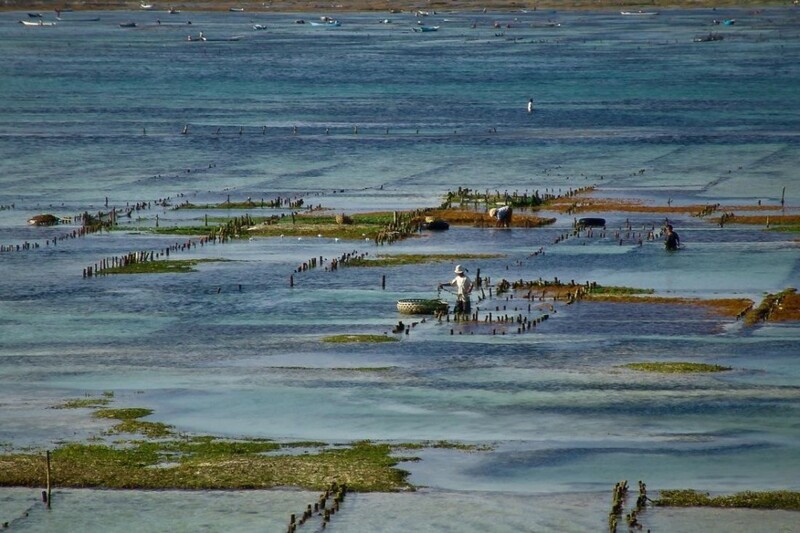 It’s a triumph of colors, a sight whose beauty is moving and exalted by the silent dignity of the seaweed farmers.